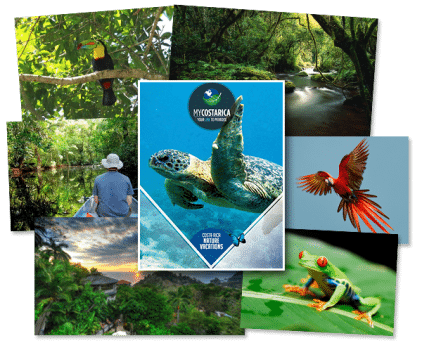 "Experience Costa Rica Nature like never before with your Free Travel Guide"
What’s inside the Costa Rica Nature Guide? 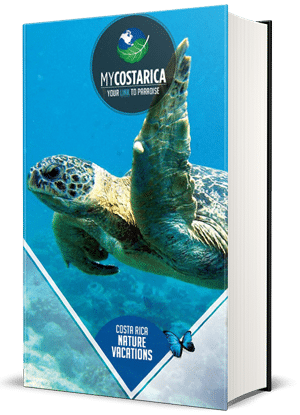 Inside the Costa Rica Nature Guide, you will find fascinating information on the Flora and Fauna of Costa Rica. Truly it doesn’t get any better than this. Costa Rica is the number one place to visit if you love natural diversity. The guide shows you the top Destinations to visit with the most about plant and animals. let My Costa Rica help you find what you are looking for. What would you like to see? Maybe you have always wanted to see the toucans up close. Or what about the cute baby howler monkeys. Also, if extremely lucky the shy Jaguar. Costa Rica holds so much life we can’t put numbers to it. Estimates range from 4-6 percent of the earth’s wildlife population is within Costa Rica.